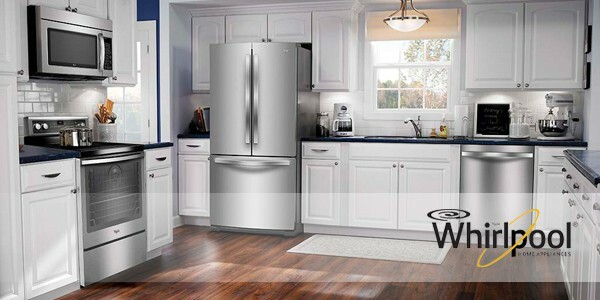 C&W Appliance Service is proud to service some of the highest quality appliances and accessories on the market. Whirlpool appliances have a long-running history of excellence and integrity. Whirlpool is a quintessential American brand. You will most likely find the Whirlpool stamp or that of one of its subsidiaries on one of your home appliances or accessories. Believe it or not, Whirlpool’s beginnings were born out of a business failure and the simple innovation inspired by that humble beginning. In 1908, Lou Upton from Benton Harbor, Michigan, invested his savings in an enterprise to build equipment for the household. When the company failed, Upton salvaged the patents on a hand washing machine as a return on his investment. He envisioned the hand washer being electrified. This dream came true when Upton, along with other members of his family, began producing motor-driven washers and eventually merged with the Nineteen Hundred Washer Company to meet demand. After WWII, the product line of the company exploded as they began manufacturing a full line of home appliances, including the first fully automatic washer and dryer. The company changed its name to Whirlpool in 1949 in recognition of its signature brand. The ensuing years saw continued innovation and further expanded product lines until, in 2006, Whirpool acquired the Maytag Corporation to become competitive in the global marketplace. In 2016, Whirpool grossed $21 billion in sales with operations in almost every country in the world. Whirpool’s innovative technologies are present in familiar household names like Maytag, Hotpoint, KitchenAid, and Amana, among others. With products and technology geared to positively affect the quality of life for millions, Whirpool is the number one appliance manufacturer in the world. C&W Appliance Service is happy to answer any questions on servicing your Whirpool appliances or any other brands under the Whirlpool umbrella of high-quality home appliance products. Call us at (855) 358-1496 or (214) 358-1496.